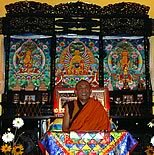 Tibetan Center for Compassion and Wisdom (TCCW) was founded in 2001 by Arjia Rinpoche, former Abbot of Kumbum, one of the oldest and largest monasteries in Tibet. It is a non-profit organization, dedicated to preserving Tibetan culture and to advancing understanding of Buddhism in the West. The center provides a place where members and general public can explore and practice Buddhist teachings, as well as have interfaith dialogue. TCCW is based in Mill Valley, CA, just north of San Francisco in beautiful Marin County. Since its founding, the center has attracted a diverse group of people from different cultures including Tibetan, Mongolian, Chinese, and Western people. From the very beginning, the Sangha (community) has welcomed and come to include people in all levels of practice and study in Tibetan Buddhism, ranging from experienced practitioners to those investigating Buddhist philosophy for the first time. On May 19, 2002 TCCW opened a branch in Oakland, CA. Presently the Oakland center serves mainly people from the Eastern culture; Tibetan, Mongolian, and Chinese. 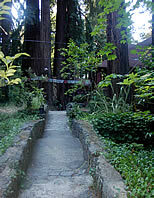 The Mill Valley center primarily serves people from Western culture. This division is due to demographic and geographic reasons. Please see the current schedule if you would like to join us at either center.